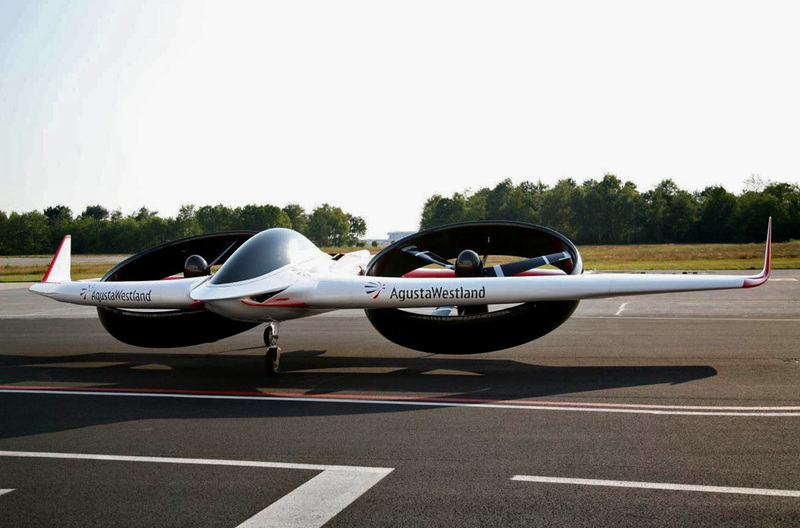 The AgustaWestland Project Zero is and advanced electric-powered unmanned VTOL aircraft which looks like the mother of all AR Drones. The Project Zero was developed by a small team of engineers from AgustaWestland working in conjunction with a number of specialist companies from around the world. Amazingly it took just six months to go from concept to first flight. The outside contractors, all experts in their field, helped in the development of the electric propulsion system, the aerodynamic shape, the flight control systems and the lightweight carbon fiber airframe. Two of the companies AgustaWestland turned to are well known in the automotive industry. The Italian firm Stile Bertone helped develop the styling, while the British company Lola Composites, now re-named Forward Composites, and better known for their race car construction, built the carbon fiber airframe. In total 15 companies from Italy, the UK, the USA and Japan helped in the construction of the prototype. 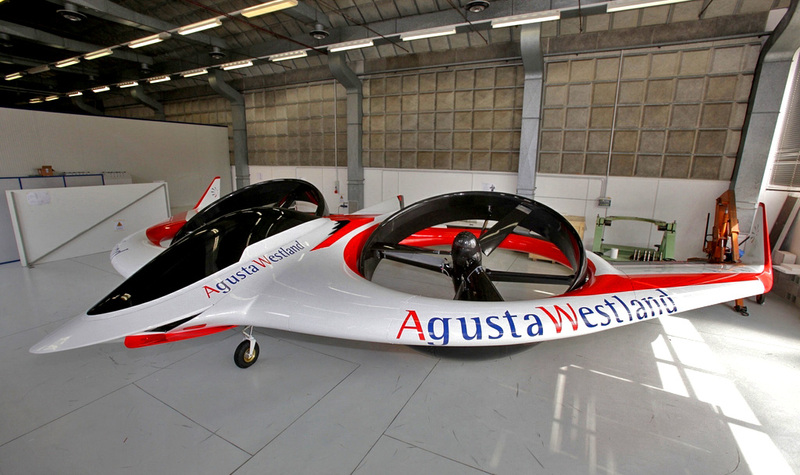 The AgustaWestland Project Zero, which first flew in 2011, and made its public debut in 2013, is still in the flight testing phase of development. 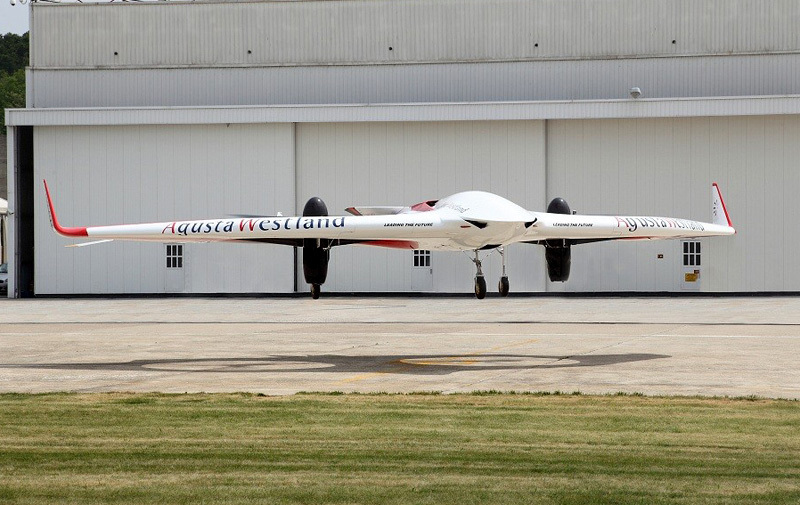 The aircraft is designed to take off and land vertically using two large ducted fans integrated into the wings. Once at altitude, the fans can be rotated through 90 degrees to provide forward thrust, resulting in a higher top speed and better efficiency in comparison with a conventional helicopter. If the aircraft is to be used for a mission in which it will stay in the VTOL helicopter configuration, then the outer wings can be detached to reduce the size and weight for improved performance and maneuverability. 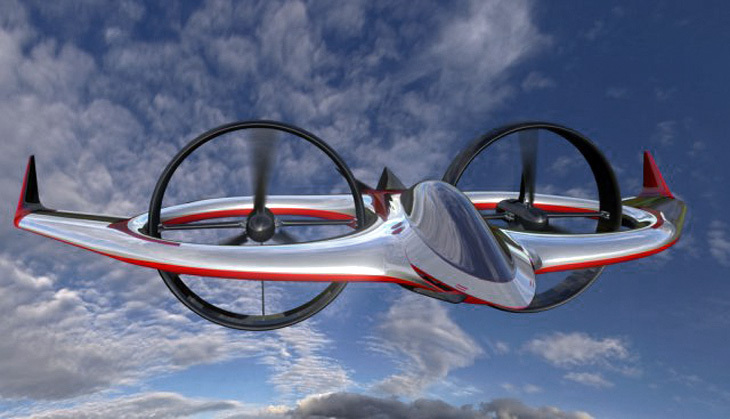 The aircraft is 100-percent electric-powered, although a diesel/electric hybrid version is under consideration. The axial flux permanent magnet electric motors are mounted within pods at the center of the three-bladed fans. The Project Zero has no hydraulic systems, all control surfaces and the retractable landing gear are operated by electric power. This solution reduces weight and saves space within the fuselage. 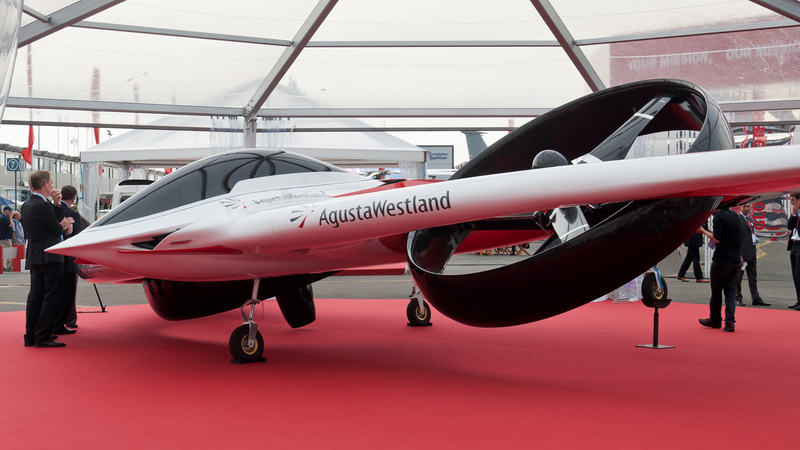 The AgustaWestland Project Zero has very low noise and thermal signature in flight and as the electric drive system does not require oxygen, it can fly through heavily polluted conditions, such as volcanic eruptions or the smoke from a forest fire. One of the many clever features of the aircraft is the recharging system. While the batteries would normally be recharged by connecting to the mains electricity supply, as a backup, the rotors when on the ground, can be tilted forward and the aircraft pointed into wind to allow the rotors to windmill and recharge the aircraft's batteries. The Project Zero program is being funded by AgustaWestland as part of their ongoing research and development activities. They have not yet mentioned a time frame for a series production model, or if a manned version is a possibility for the future.